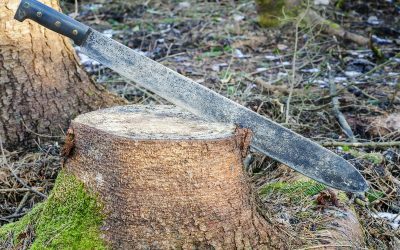 The Top 6 Knives of Alaska Reviews – How Do These Knives Truly Hold Up? 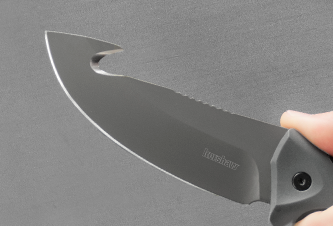 Cold Steel Trail Master Review: Is It Truly a Master of the Trail? 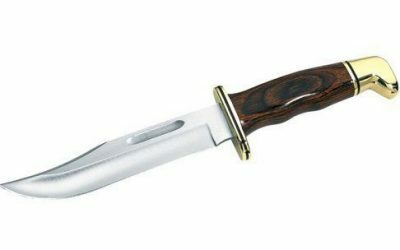 Buck Knives 119 Review: Is This Buck’s Best Hunting Knife? If you’ve found this page because you are looking for reviews and information on the best Tasco trail cameras, then you’ve made it to the right place! There are so many options available in the market that it can be overwhelming for anyone. Tasco has built their brand on making reliable, affordable game cameras. Similar to the Tasco 119215C, the Tasco 119203C 3 MP Trail Camera is another incredibly affordable, low cost game camera. 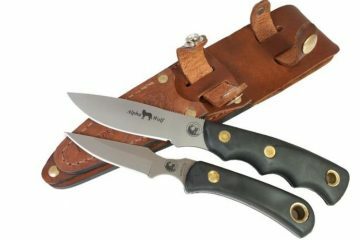 It is the perfect unit for both those who enjoy watching wildlife, as well as for those looking for an inexpensive trail camera for security. 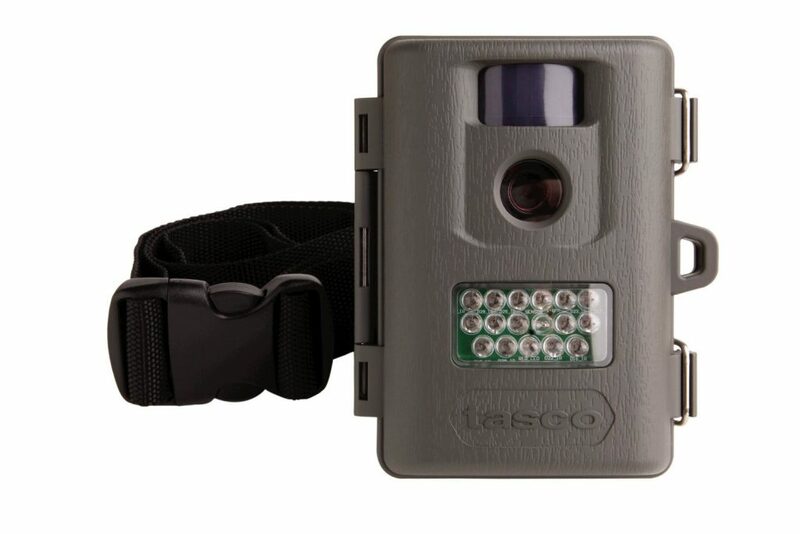 The Tasco 119203C has a standard 3 Megapixel night vision. It features a Xenon flash for nighttime photography, and includes date, time and moon phase stamp on each image. While this model uses the Xenon flash which creates a white flash, it allows for very clear, and full-color night time photos. The bright flash allows for the Tasco 3MP Trail Camera to capture high quality, full-color images at night. The downside is that the flash can frighten animals, as well as alert other hunters of a favorite hunting spot. The Tasco 119203C Camera has an oversize camera flash that allows for increased range. It can sense game as far out as 45 feet with passive infrared sensors (PIR), however, its sweet spot is more in the range of capturing wildlife that is approximately 15 – 20 feet away. It is sensitive to movement. For the money, it is hard to beat the remarkable color, clarity and quality that this model offers. It takes extremely sharp digital images that are full color, and high resolution. The night time photos are surprisingly clear and in full color because of the Xenon flash. It will provide you with crisp photos of deer, squirrel, birds, raccoons, foxes, or whatever wildlife you may be watching. The closer the camera is positioned to the wildlife, the better the images will turn out. It will also often create a time-lapse series because of its recovery time, which is a nice feature. The Tasco 3 MP Trail Camera has a decent battery life that can last up to 90 days, or 3 months. It is powered by 4-C Cell batteries. Some have reported that they have gotten months of action for battery life. While this camera doesn’t offer much in the way of internal memory, it does allow for an SD card to store 2GB of memory that can be easily downloaded at a later time. It also does not include an SD card, but they have come down so far in price that it can be very cheap to get a 2GB SD card either locally, or through an online retailer such as Amazon. It shouldn’t be a deal breaker. The Tasco 3 MP Trail Camera comes with a wide security strap to prevent theft. This is a very solid unit particularly as an entry level game camera. It’s a great camera for the money, and competes with game cameras double and triple times its price tag. Particularly for someone who is looking to get their feet wet with their first trail camera, it’s an ideal, inexpensive option. It is also priced low enough that a hunter could purchase several of these for multiple angles. It’s designed to be weather proof, and rugged to hold up to most elements (rain, snow, inclement weather), however since it is so inexpensive, if something were to happen to this camera, it is a smaller investment than losing a $300 camera. Overall, it is a well-constructed, sturdy camera. It provides clear, high-resolution photos. Although it is a basic camera that serves its purpose well, don’t expect fancy features at this price point! But, it will serve you well. If you aren’t in the market actively looking to spend several hundred dollars on a game camera, then this is a great trail camera to consider. With all things considered, it is small, compact, seamless to use, provides great picture quality, reliable, and all around is one of the best cameras available in this price range (under $100). This model is surprisingly packed with features. It has very good usability, and can function in both the summer and winter. Even below freezing temperatures, the camera does a good job of preserving battery life, and still taking clear, crisp photos. Admittedly, some complain that prolonged exposure to heat and humidity can cause issues, but no game camera will be without faults, especially at a price this low. This camera fits the mold more of a reliable, cheaper game trail camera. 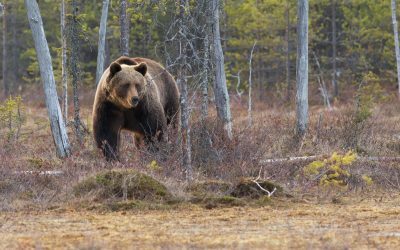 While you may not get High-Definition (HD) videos of deer, elk, bears, squirrels and other wildlife that you might be monitoring, you will certainly get clear, high resolution images. It also provides the ability to set timing and delay options. This unit is simple to set up, and comes with a thorough manual to ensure that you have no hitches. After taking pictures, and retrieving your camera, downloading and transferring your pictures to your computer to view is a very swift and easy process. It is important to keep in mind that while this camera does come with 15 LEDs, and provides high resolution pictures during the day, night time photos can be hit or miss. This camera works significantly better during the day than at night. You will have clear pictures with sunlight, but night time pictures will be decent at best. These night photos may suffer because the camera doesn’t have enough infrared bulbs to light up the area to get as clear of a shot that higher-end, upscale game cameras can offer. It is important to keep this in mind when deciding on what your needs are for this camera (i.e. if you need a camera specifically for night time photos, this is not your ideal camera). However, the daytime photos can more than make up for it. 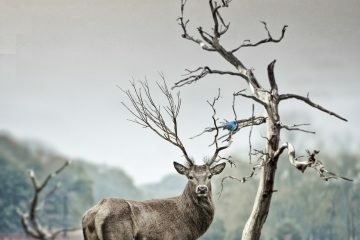 While this camera is marketed as reaching up to 30 feet, it also operates better the closer in proximity it is to the wildlife. Its ideal range is approximately about 15 to 20 feet. Again, this is to be expected that its range isn’t as strong as some of the more expensive cameras out there. It is also listed as having a detection zone that covers a 60 degree spread with a wide angle sensor. Ultimately, this Tasco Trail Camera works very well for what it was designed to do. As the saying goes, you get what you pay for. For a newer hunter, or a hunter on a budget route, this is a great price for a very good product that has good picture quality, battery life, and usability. It can also be an ideal option for a hunter who wants multiple cameras instead of just one really expensive one. You would certainly be paying more for a different brand name, such as a Bushnell. It competes well with many more expensive trail cameras on picture quality, trigger and sensing speeds. This is also an interesting option for someone who wants a camera for basic security. For the money, it is one of the best bangs for your buck. The Tasco 119223C 3MP Trail Camera is a basic, barebones, rugged, compact easy to set up game camera. The pictures that are taken on this camera are great whether they are taken in the afternoon or during the night. Don’t be fooled by the price at which the camera comes, it is both affordable and of pretty good quality. This camera is equipped with a Xenon flash which provides for full color photos irrespective of the time of day. The Tasco 119223C 3MP Trail Camera is equipped with a function where you can record short videos with a resolution of 640 by 480 at 15 frames per second. These videos can be up to 15 seconds in length. According to Tasco, the batteries on the camera can last up to 90 days, or 3 months (powered by 4-C cell batteries), but can strongly depend on how many photos are taken in that time span (particularly nighttime photos since it uses flash and can tax the battery). While the Xenon flash allows for the Tasco 119223C to take full color pictures at night, the downside is that the flash can startle wildlife, or even alert someone of the presence of the camera if it is used for security (however, if it is out of reach, it can discourage the person by the flash). Like other Tasco Trail Cameras, for a hunter on a budget, or looking for a starter game camera, this is a very good option to consider. The Tasco 3 Mega Pixel Trail Camera 119257CW is one of Tasco’s newest trail cameras. It features a 3-megapixel camera that permits you to capture photographs and record short videos. Users indicate that the picture quality from this camera is very good and compares well to other cameras with the same resolution. You will be able to capture all the beautiful colors of nature, and photos of up close wildlife thanks to the full-color resolution. Unlike the other Tasco trail cameras discussed, this model uses 12 low glow LEDs. The night time photos will come out in black and white as a result, as opposed to full color images. This taxes the battery of the camera significantly less, and is one reason why the Tasco 3 Mega Pixel Trail Camera 119257CW has a longer battery life than the other models. While it requires 8 AA batteries, it has a 9 month battery life, which is impressive for this unit. It also offers more memory storage than the other models with compatibility of up to a 32 GB SD card. It makes sense as one of the newest models, but this model also does not have a video mode (which takes up more memory). When reviewing all of the features of this model, it is certainly a worthy option. It is not only simple to use, but it extremely affordable like the other aforementioned Tasco Trail Cameras. All of this needs to be kept in perspective as you consider what the right fit for your needs is. There are indisputably better trail cameras available on the market. However, that is not what this camera was designed to be. It is seamless to set up, affordable, great battery life, reliable and produces pretty good picture quality which is perfect for home security, or a new hunter. What is a Game Camera? For those who are not familiar with what a game camera is, to put it lightly, it has been one of the best, most innovative tools for deer hunters in the last 30 years. These incredibly useful tools allow hunters to get up close next to wildlife without having to physically be there. Game cameras allow for deer hunters to figure out the exact patterns that local deer have, what trails they use, where their food source is, essentially allowing the hunter to get into the mind of the deer. 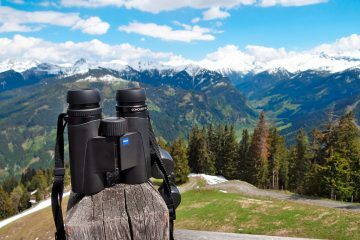 The alternative to a trail camera is prolonged long distance scouting, and ensuring that the wildlife is never alerted to the hunter’s presence. The game camera is a silent scouter, a relatively silent hunter who tracks every movement of wildlife without raising alarms and can be an incredibly valuable tool. A trail camera gives hunters an unprecedented view and snapshot of their local wildlife. Using motion and infrared sensors, these cameras are reliable in taking pictures upon sensing movement. Many game cameras not only offer high resolution, full color images, but they also offer the ability to take pictures in the dark. Also, as opposed to putting a $1,000 Nikon camera in the woods, game cameras are specifically designed to withstand the natural elements. They’re often weatherproof to endure rain storms, snow, wind and other inclement weather. While higher-end game cameras generally offer more features and higher resolution images than a Tasco trail camera, comparing the two has to be kept in perspective. 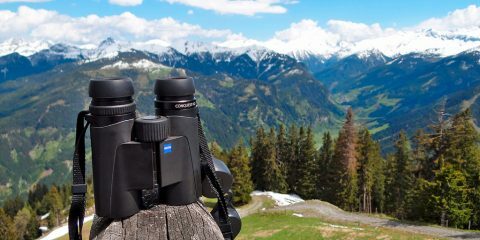 Tasco is most widely recognized as an optics company for their telescopes, riflescopes and binoculars. While not as predominant of a manufacturer in the trail camera market, Tasco still has built up a reputation for making entry-level, quality game cameras. They build cameras that are perfect for those who want a cheaper option to get their hands dirty with an inexpensive camera, or even someone looking for a cheap camera for home security to put around their property. 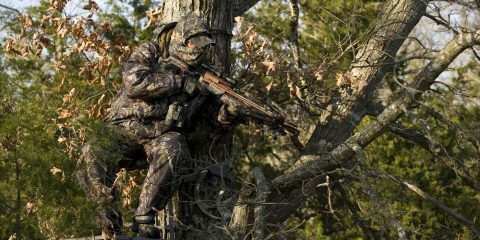 Tasco is a company of Vista Outdoor Inc., who also operates other major brands such as Bushnell. HuntSharp is a participant in the Amazon Services LLC Associates Program, an affiliate advertising program designed to provide a means for sites to earn advertising fees by advertising and linking to Amazon.com. 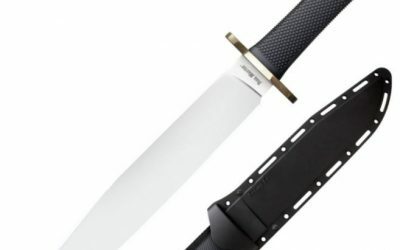 Any/all of the links on huntsharp.com are affiliate links of which I receive a small compensation from sales of certain items. Prices are exactly the same for you if your purchase is through an affiliate link or a non-affiliate link. You will not pay more by clicking through to the link.